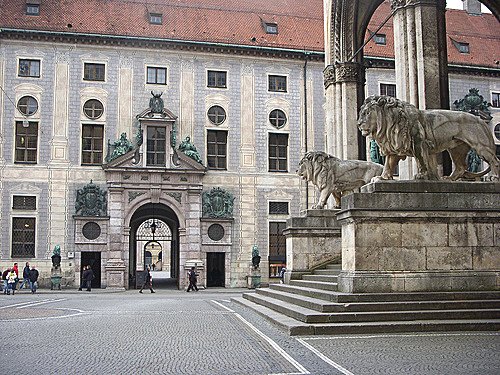 The 2010 Munich Satellite Navigation Summit is now going on at the Residenz München in Munich, Germany from March 9 to 11. For the Inside GNSS take on the event, read "Munich Summit Asks Where GNSS is Going." The theme of the opening plenary on Tuesday evening is "GNSS – Quo Vadis?" It will feature discussions by representatives from the European Commission, the European Space Agency, European ministries and the U.S. GPS program. It will take place in the Church of All Saints of the Munich Residence. Wednesday begins with GNSS program updates on the major GNSSes, the regional ones and the augmentation systems: GALILEO, GPS, GLONASS (Russia), BEIDOU/COMPASS, GINS, QZSS, IRNSS, EGNOS, WAAS, MSAS, aGAGAn, and GRAS. Galileo, now solidly underway, will be the focus the Wednesday afternoon sessions, including a critical review of Galileo’s history and future expectations; safety of life applications, technology transfer hopes and expectations, and musings on the role of GNSS hardware and software in 2020. Thursday opens with GNSS Hot Topics-particularly the issue of privacy in a world of GNSS. The afternoon session features a number of journalists’ view on problems and promises of GNSS. Inside GNSS editor Glen Gibbons is a member of the panel.